Donald Glover‘s “Atlanta” and Pamela Adlon‘s “Better Things” have both been renewed for second seasons at FX, the network announced on Tuesday. Both comedies, which premiered to critical acclaim earlier this month, have been picked up for 10 additional episodes. “It’s really gratifying to launch two new comedies that have received overwhelming critical acclaim right out of the gate and that are emblematic of FX’s award-winning brand,” Nick Grad and Eric Schrier, Presidents of Original Programming, FX Networks and FX Productions, wrote in a statement. Both “Atlanta” and “Better Things” have received rave reviews from critics since their premieres, and “Atlanta” in particular has been a ratings hit for FX. The premiere episode of the Atlanta-set comedy was basic cable’s most-watched scripted primetime comedy debut among adults 18-49 in more than three years. 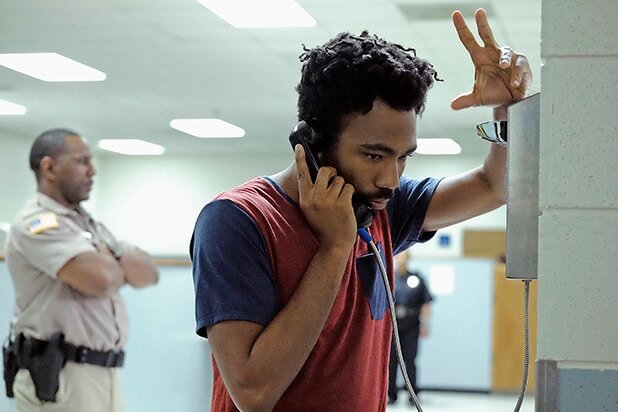 “Atlanta” follows Earn Marks (Glover), a young manager trying to get his cousin’s music career off the ground. Brian Tyree Henry, Lakeith Stanfield and Zazie Beetz also star. Glover serves as executive producer along with Paul Simms and Dianne McGunigle. “Better Things” is executive produced by Adlon, Louis C.K., M. Blair Breard and Dave Becky. Adlon stars in the series as Sam Fox, a single, working actor with no filter raising her three daughters, Max (Mikey Madison), Frankie (Hannah Alligood) and Duke (Olivia Edward) in Los Angeles. She may not be under quite as much pressure as her onscreen counter part, but all eyes will be on Bunbury this fall as she plays the very first female pitcher in Major League Baseball. After showing some leading man magnetism in a supporting role on "Rectify," Crawford is poised to test his mettle starring on one of fall's biggest remakes, in a role made famous by a movie star. 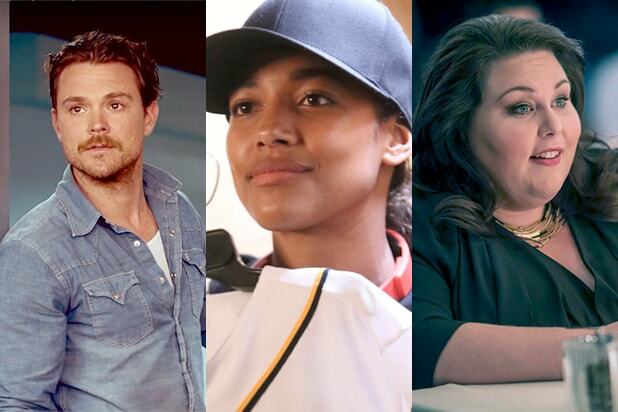 The CW made stars out of Gina Rodriguez and Rachel Bloom thanks to "Jane the Virgin" and "Crazy Ex-Girlfriend," respectively, and Anderson is perfectly poised to follow in their footsteps. People have not stopped talking about "Friday Night Lights" and "Parenthood," which means the likelihood of an audience falling in love with Jason Katims' latest and remembering Augustus Prew for years to come is very, very high. The "American Horror Story" alum is poised to be the breakout star as she goes head to head with a cast of well-known actors including Mandy Moore, Milo Ventimiglia, Justin Hartley and Sterling K. Brown, in one of fall's most anticipated dramas. Fans are already intrigued thanks to a co-starring introduction on "Jessica Jones," and now Mike Colter's Luke Cage gets center stage as he leads his own series. As a mom to some high-energy kids in this grounded gritty take on motherhood, Adlon, who also executive produces the show, has already been compared to Louis CK. Gabriel Luna, "Agents of SHIELD"
Move aside, Nicholas Cage, there's a new Ghost Rider in town, as Luna joins the ABC Marvel superhero drama, ready to shake things up in Season 4. Marking another Youtuber jumping over to traditional TV, Rae graduates from "The Misadventures of Awkward Black Girl" to her own HBO sitcom tackling similar themes. And she's not just a pretty face - she co-created the show and acts as a co-executive producer. Khary Payton, "The Walking Dead"
This newcomer to "The Walking Dead" was the talk of Comic Con when the first glimpse of his character, King Ezekiel, was revealed before a rapt crowd. While most eyes are on Tyler Hoechlin as Superman, Lima's Maggie Sawyer could potentially shake up National City more significantly, since she's a series regular playing a lesbian cop, with executive producers recently reiterating a push for more diverse and LGBT characters in the Arrowverse. The "Reign" alum is set to lead one of the most anticipated new series on Syfy, thanks to executive producers Ben Affleck and Matt Damon.